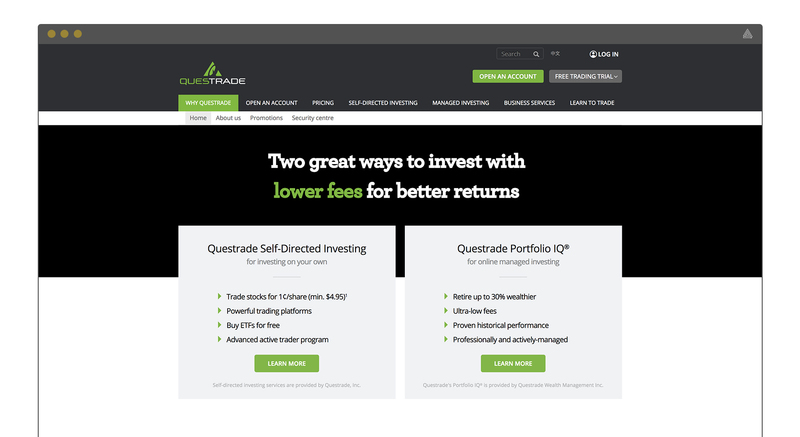 Questrade is Canada’s largest independent online investing platform. Since 1999 the company built products and services that challenged the status quo. It allows the average Canadian to trade and have affordable access to markets from the comforts of their home. Initially, the only people who could reap the benefits of the stock market were stockbrokers. Questrade partnered with Abacus to drive awareness to their investing platform through a sophisticated Facebook ads campaign. Specifically, Questrade wanted to drive new account registrations from Canadian investors and expand their user base through a carefully crafted Facebook campaign that targeted and engaged their ideal customers. Abacus used advanced content and sales funnel strategies for Questrade's Facebook ad campaigns and began with driving awareness at the top of the funnel with video content utilizing vertical video on mobile. Following this, they re-marketed video viewers with educational messaging and with a strong call to action. Lastly, Abacus used Facebook lookalike audiences which find similar interests and demographic information based on past converters. Abacus then created audiences with those similar characteristics based on Facebook pixel events and used this new audience to bring more people into the campaign funnel.